Exciting news! There are two huge sales this week! First up, Amazon Prime Day, which starts tonight at 6pm and continues through July 11th. I discovered my favorite watch is on sale for 30% off! [show_shopthepost_widget id="2735661"] In order to shop the Amazon Prime Sale, you have to have Amazon Prime Membership. If you’re not already a member, it’s easy to sign-up! Amazon starts you with a free 30-day trial, which you can cancel at any time. However, I guarantee you’ll keep the membership as it’s definitely worth every cent in my opinion! I love the rose gold face on this because it matches everything. It's a great accessory! 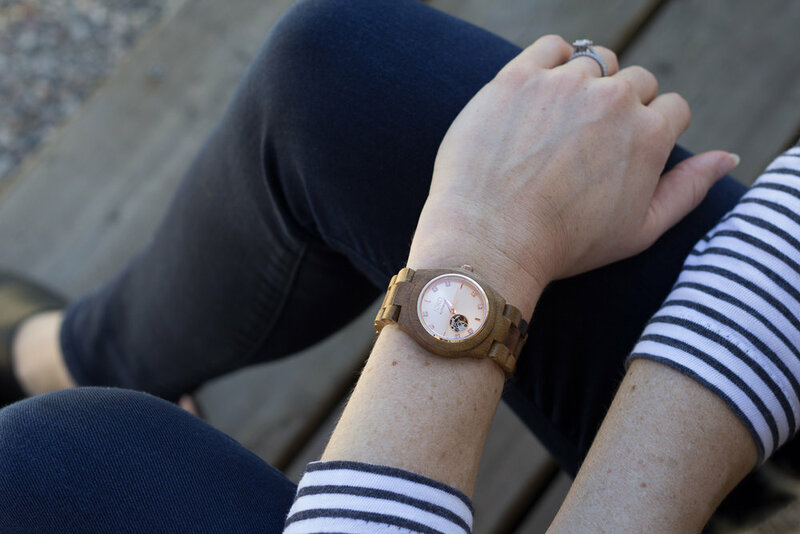 Perfect for both casual and dressy outfits thanks to the natural aspect of the wood band coupled with the fancier face. The coolest thing about this watch is that it is self- winding. Jord also makes watches for men, and my husband has been eyeing the Dover series. I hope you get this wood watch! I promise you'll love it!